Sugar addiction is no joke – there’s compelling scientific evidence that addiction to refined sugar can be just as serious as addiction to “hard” drugs like heroin and cocaine. Sugar dependence has been observed in animal models, and the components of addiction – bingeing, withdrawal, craving, and cross-sensitization – are all present with regards to excessive sugar consumption(1). While many people might dismiss the idea that sugar can be an addictive substance, the negative impacts of an unhealthy relationship with food, especially sugary food, can be severe – including obesity and type 2 diabetes, not to mention the possibility of complicating existing conditions like irritable bowel syndrome. It’s easy to see that reducing your sugar intake is the smart thing to do – but that doesn’t mean it’s the easiest. Fortunately, there are many natural tools we have at our disposal when it comes to kicking our sugar habit to the curb. Peppermint oil is just one of these natural tools – when used externally, it has all sorts of benefits, some of which may include helping us overcome a dependency on sugar. SEE ALSO: The bitter truth: how much sugar is too much sugar? Sugar withdrawal can leave you with any number of symptoms, from weakness to cravings to indigestion as your body adjusts to a new diet. 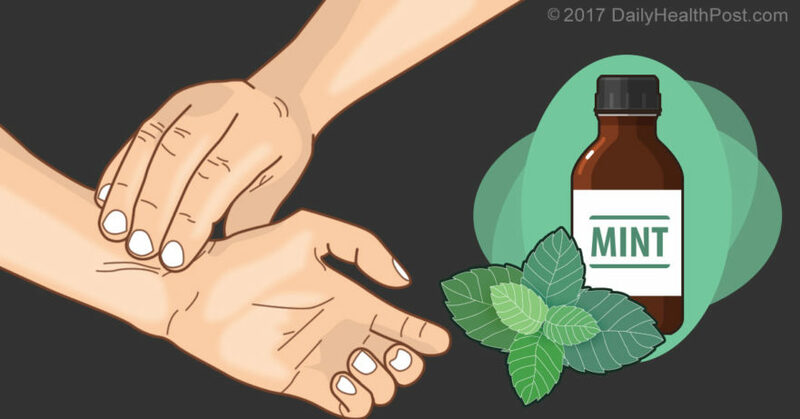 Peppermint oil has been shown to make people feel stronger and more “well”, improving athletic performance significantly in clinical trials(2) – an effect which may no doubt benefit anyone who is also struggling to overcome the effects of a substance dependency. 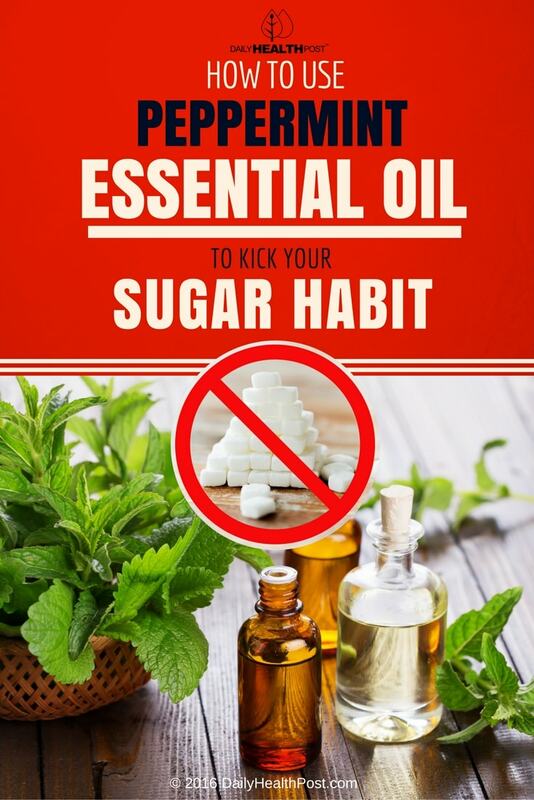 Peppermint oil has an effect on your blood pressure, heart rate, and even audio and visual reaction times – all of which can feel “off” when you’re giving up a food you’ve depended on for energy. Then there’s the effect that changing your diet can have on your stomach. Going off sugar can cause more than just cravings – any abrupt change in your diet can have an impact on your digestion and leave you feeling less than your best. Fortunately, peppermint oil can help with that, too – it’s even used to help treat indigestion and stomach pain in individuals with irritable bowel syndrome(3). Apply drops of peppermint oil to your temples and to the insides of your wrists. Repeat this every morning and evening. Inhale the peppermint oil directly using a diffuser. You can find essential oil diffusers at most drug stores, and peppermint oil is readily available at drugstores or health food stores.